We are delighted to offer for lease this traditional two double bedroom ground floor apartment with outside space and storage cellar. 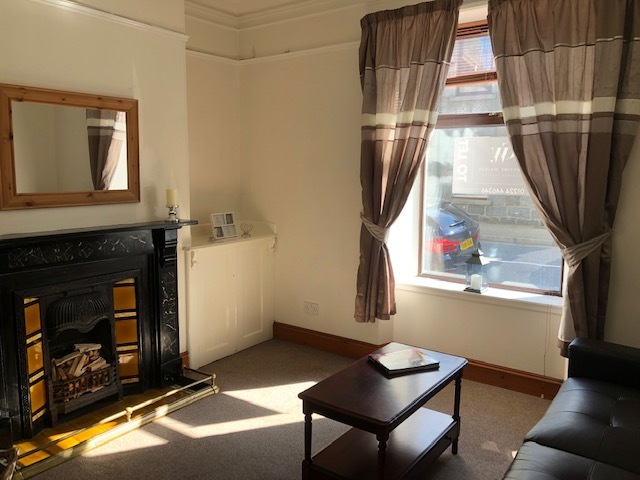 Situated in the picturesque village of Inverurie with the village centre being a five minute walk away and offers Morrisons, Marks and Spencers, cafes and restaurants. Excellent local schools and transport links Aberdeen. Hallway, large sunny lounge with feature fireplace and modern furniture. Double bedroom with fitted wardrobes. Second bedroom with freestanding wardrobes. Modern Bathroom with shower over the bath, Modern fitted dining/kitchen with all appliances such as a fridge/freezer, washing machine, and gas hob & oven, patio doors into the rear garden. GCH & DG throughout. Available for immediate entry.